AEROready has certified Gallia County as viable and ready for the aerospace industry to develop and invest in. 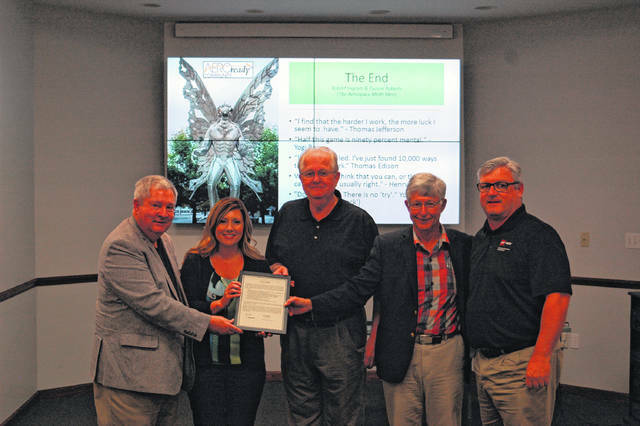 From left: Robert Ingram, AEROready, Melissa Clark, Gallia Economic Director, Harold Montgomery, Gallia County Commissioner, Tuscon Roberts, Aeroready, and Tim Wells, AEP Ohio Economic Development. 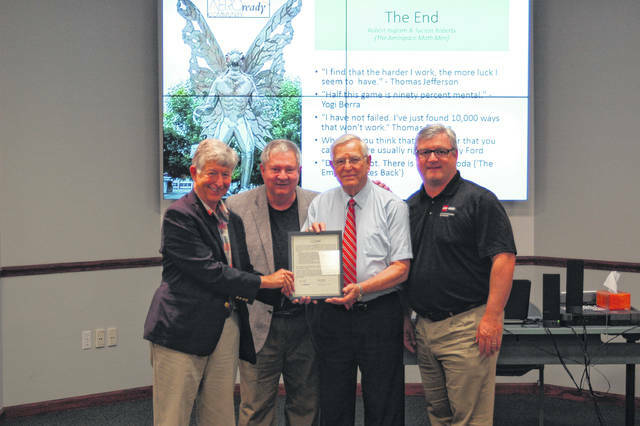 AEROready has certified Mason County as viable and ready for the aerospace industry to develop and invest in. From left:Tuscon Roberts, AEROready, Robert Ingram, AEROready, John Musgrave, Mason Development Authority, and Time Wells, AEP Ohio Economic Development.